For those of you who haven't heard, David Bowie will be releasing a new album called "The Next Day" in March! On his 66th birthday, January 8th 2013, he released his new single, "Where Are We Now?" Why is this a big deal? Because he hasn't released anything new in a decade! Not since "Reality" launched in 2003. So the David Bowie fans of the world should be in an excited uproar by now! He, apparently, worked on this album in secret for two years. Maybe he was trying to keep his fans in suspense. Who knows? I'm glad he is releasing more music! A friend of mine said that he can't help feeling like this is "goodbye" from David Bowie to the music world. I am not so sure. I think music is in that man's veins. I don't think he can help but let it out now and then. And I certainly hope this isn't the end. On the plus side, it means that he will probably tour, which means I will need to break the bank to finally see him in concert. I am willing to go into debt if I could get a backstage pass or something. If I could see a show and meet him, I could die happy! Since it may be my only chance to see him perform, I will have to jump on it! Here is his new single. The video is weird (well, does he have music videos that aren't weird? Let's not get ahead of ourselves), but the song is beautiful. And I so love hearing that voice again! (I mean, I have plenty of his music, but it's nice to hear it in a new song.) Where Are We Now?. Let me know what you think. When I watched this, it struck me how much older he looked. If you aren't familiar with David Bowie, he aged tremendously well before his heart attack in 2007 during his Reality Tour in Germany. 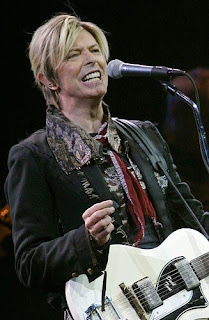 Here is one news article about it: The Sun: Bowie had heart attack. 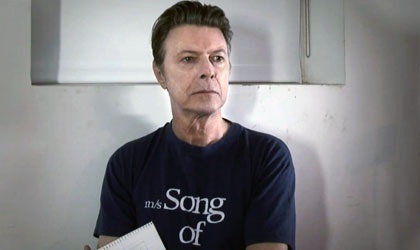 David Bowie in "Where Are We Now?" 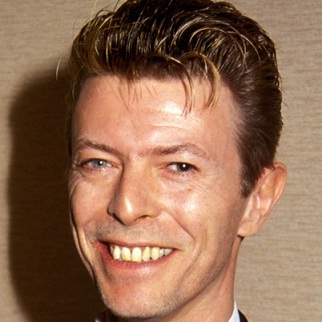 I also thought, while watching the new single, "Wow, David Bowie kinda looks like Clint Eastwood." Which is funny because several years back when I finally watched "Paint Your Wagon," I thought Clint Eastwood looked like David Bowie. Am I on something? David Bowie several years back. Clint Eastwood around the time of "Paint Your Wagon." 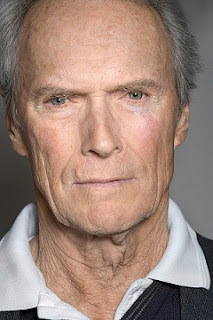 A recent picture of Clint Eastwood. I'm not the only one seeing this, right? Right? Anyway, just listen to the song, eh? 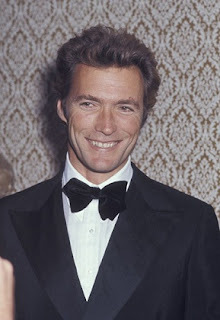 Labels: Clint Eastwood, David Bowie, David Bowie's heart attack, look-alikes, Where Are We Now?